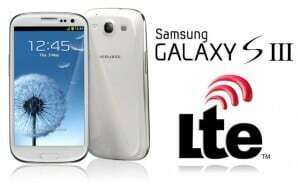 Samsung Galaxy S3 LTE differs from the I9300 S3 with two major things: First, it has LTE support, and second it has 2 GB RAM memory, compared to 1 GB of the I9300. That’s why many people decide to buy the LTE version of the Galaxy S3 just to get more RAM memory. That means that they don’t need the 4G support so they want to disable it. Also it seems that 4G connection drains the battery faster than 3G would, so another reason to want to disable it. However, there isn’t a stock option to disable 4G on Galaxy S3 I9305, but there seems to be one method that works. It is based on the idea that you can select the device to use only WCDMA/GSM option, which is basically 3G and 2G. Install Phone Info from Play Store. Again, this is just one way I found that seems to work. It may not work for all devices. If you know a better way to disable 4G on Galaxy S3 I9305, please share it with us in the comment section and we’ll give it a try.